LeavenLaw, on behalf of their clients, Plaintiffs George and Iris Narvaez, and similarly-situated Class Members, filed a class-action complaint in the United States District Court for the Middle District of Florida, Tampa Division, alleging that Defendants – Law Offices of Antonio Duarte, III, P.A. and Antonio Duarte, III - violated the terms of the Fair Debt Collection Practices Act (“FDCPA”), 15 U.S.C. § 1692, et seq. and the Florida Consumer Collection Practices Act (“FCCPA”), Chapter 559, Florida Statutes. Can reasonably be expected to be abusive, harassing, and threatening. LeavenLaw’s advocacy for Plaintiffs and Class Members resulted in a class-action settlement requiring The Law Offices of Antonio Duarte, III, P.A. and Antonio Duarte, III to agree to pay Plaintiffs $1,500 each in statutory damages as well as an additional $500 each as a service award and each Class Member will receive a pro-rata share of a settlement fund consisted of $6,000. Furthermore, and perhaps most importantly, LeavenLaw and its attorneys were able to ensure that the subject improper debt collect letters are never used again. For a complete review of the Class Action Settlement, please click here. $1,644,880.00 to the 11,013 individuals that have filed claims. $5,000.00 to the named Plaintiffs as incentive awards ($2,500.00 each). $1,000,000.00 to cy pres recipients. $2,500,000.00 in attorneys’ fees and costs. LeavenLaw attorney, Ian R. Leavengood, on behalf of his client, Steven J. Schmidt, filed an Amended Counterclaim against Regions Bank’s debt collection lawsuit wherein the Court certified the Class Claims in the Amended Counterclaim. The Counterclaim alleged Regions Bank mailed a collection letter to consumer debtors containing the sentence, “Legal actions that may be taken against you include suit and garnishment of wages or execution on any owned assets.” The Class Claims are premised on the issue that the inclusion of such language by Regions Bank is a knowing assertion of a legal right that Regions knew did not exist under Florida law and that the use of such letter was a willful harassment of the consumers who received it. As a result of the efforts of LeavenLaw and our co-counsel, James, Hoyer, Newcomer & Smiljanich, P.A., Regions Bank agreed to pay $615,000 in settlement of the Class Action and settled Claims. The Net Settlement Amount awarded to class members was $295,000 and Class Counsel was jointly awarded $320,000 as attorneys’ fees, costs, and costs of administration of the class action. Finally, and perhaps most importantly, LeavenLaw, through its advocacy, ensured that Regions Bank may not use the sentence at issue in this case in its future debt collection correspondence. For a complete review of the Class Action Settlement, please click here. LeavenLaw attorney, J. Andrew Meyer, was part of a Plaintiffs’ counsel representing consumers in a class-action lawsuit against TracFone Wireless, Inc, where a federal judge recently approved a $40 million settlement with a proposed class that had alleged false advertising in the company’s unlimited plan because it "throttled" data usage after a certain amount. Specifically, according to the Federal Trade Commission’s federal complaint, Tracfone falsely promised customers "unlimited" data service on $45 prepaid plans, but then drastically reduced or entirely cut off their mobile data in a practice known as “throttling” after customers had exceeded certain fixed limits during a 30-day period. 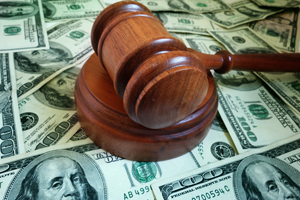 The settlement included an additional $5 million in attorneys’ fees for the class counsel. As part of the settlement, the judge approved injunctive relief wherein TracFone agreed to cease advertising the plans as unlimited and make other changes with the goal of avoiding deception. Here at LeavenLaw, we are focused on helping and achieving results for consumers, whether it’s through individual or class action cases. For more information, please visit www.leavenlaw.com or call 1-855-Leaven-Law.